Natsumi Tokugawa first appeared in Chuunibyou Demo Koi ga Shitai! Ren Episode 2, where she was seen taking pictures of Sanae Dekomori. She also peeked when Sanae and Shinka Nibutani were fighting in a fast food restaurant in Episode 4. 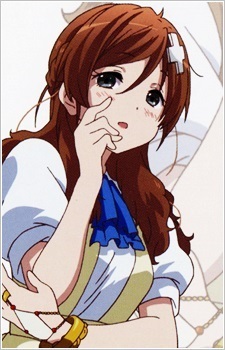 Her full face was first revealed at Episode 8, where she pretended to be Mori Summer to attract Sanae since she was in love with Sanae, to the extent that she created a Mori Summer website. She called Sanae by the name "Sanya" and was so infatuated with her she took a lot of photos of her and actually bit her ears. However, Shinka appeared in time to rescue Sanae, and Sanae, realizing that Natsumi was a fake, defeated her. She disappeared when she learnt that Shinka had already taken Sanae's first kiss.